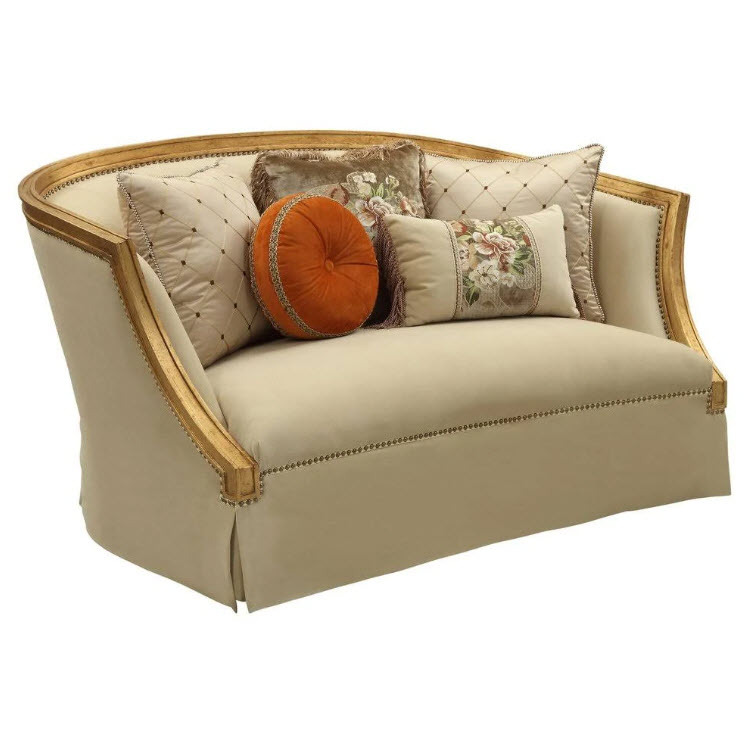 The Daesha loveseat is a sophisticated traditional design. This inviting surround appeal is accented by loose pillows upon coil seat cushions to allow for any configuration for a comfort level desired. The loveseat is accented with a solid wood rail that flows into concave arched front arm which create a great visual silhouette. The detail of the wood trim is emphasized by having a skirted base and allowing the contrasting wood trim to be more prominent. The elegant simplicity of this sofa allows it to fit into any room décor.